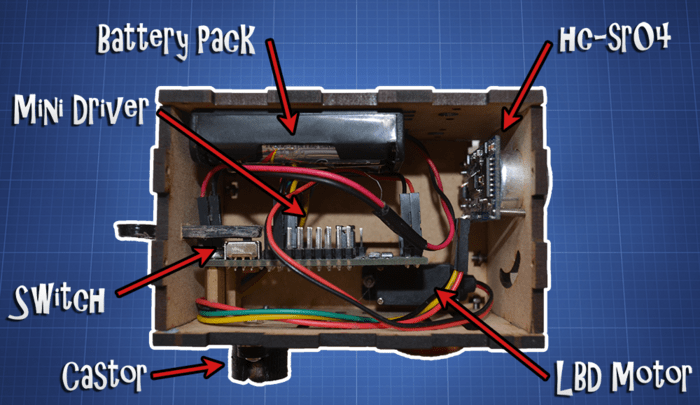 PopPet is a DIY, Arduino-compatible, open hardware robot kit. 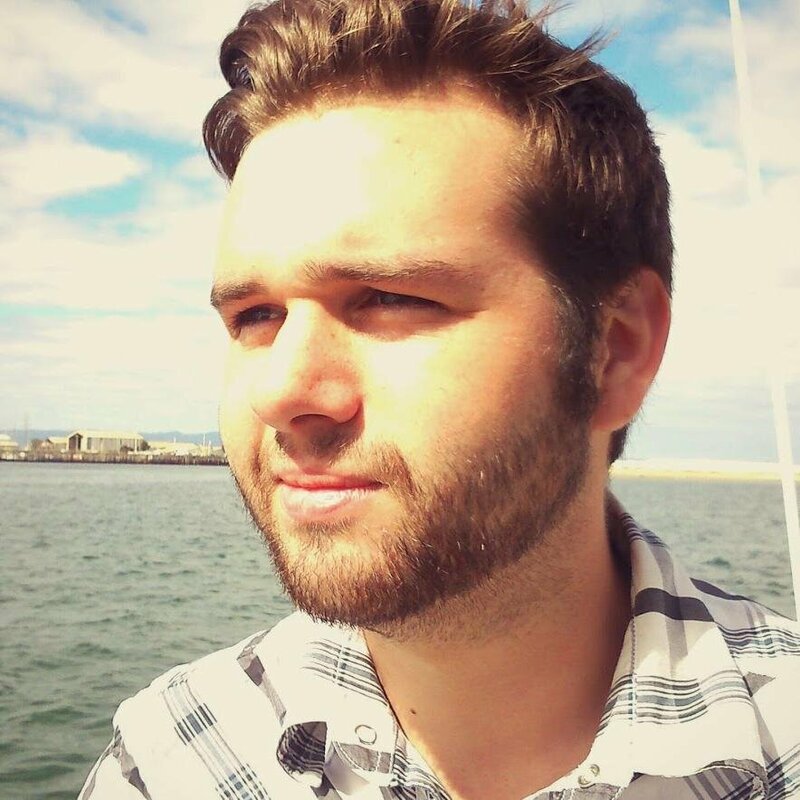 Jaidyn Edwards runs a website and YouTube channel dedicated to teaching robotics, Arduino projects and 3D printing. He’s an active member of the Let’s Make Robots community of hobbyists, where Jaidyn learned from others and shared what he had taught himself. Jaidyn went on to teach robotics to kids at a local school. Jaidyn Edwards is founder of Duino Robotics and creator of PopPet. “I didn’t have robotics clubs when I was at school,” says Jaidyn. Perhaps that’s why he’s been so focused on helping kids learn, now that he has knowledge to share. That robot eventually turned into Jaidyn’s most ambitious project to date: PopPet. 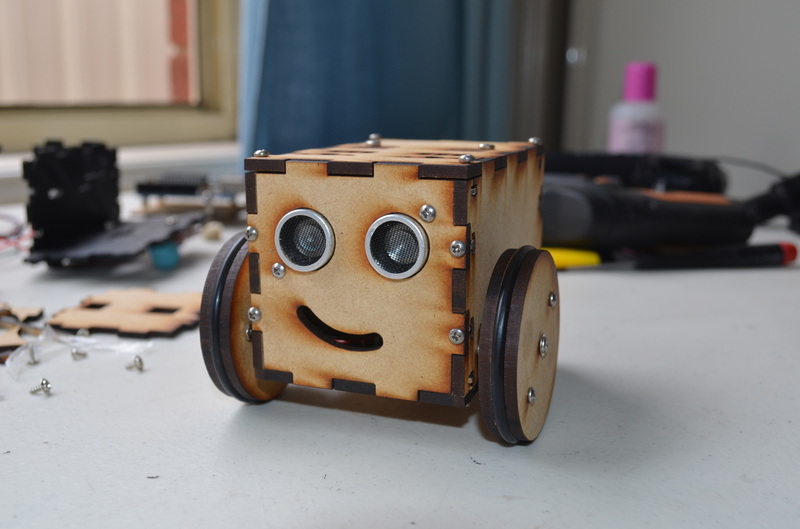 This cute and tiny robot kit is currently off to a good start with a Kickstarter campaign. The kit turned out to have wider appeal than Jaidyn planned, attracting attention from other robot hobbyists who wanted to build their own. At PopPet’s core is an Arduino-compatible controller board. PopPet’s tiny laser-cut MDF chassis has two wheels, each driven by a small gear motor in a neat servo package. An inexpensive ultrasonic sonar sensor provides input for navigation and obstacle detecting. Exposed side view inside of PopPet shows all you need for a robot, with room to expand. One of the things that differentiates PopPet is the easily replaceable face plates. So you can build your robot with the personality you want, and swap out new faces when you want to. Since Jaidyn intends to make his hardware open source, you’ll even be able to design your own face plates. Change out PopPet’s face plate and give her a new personality. Jaidyn’s long term goals are to run a business developing robot kits, to teach, and to get more kids into robotics. His hope for PopPet is to continue to produce the kit and get her into schools. He’s planning to create an accompanying teaching curriculum. Jaidyn will continue to develop PopPet and target an even younger age bracket. He wants to produce a more maker-friendly chassis for easier customization. He has prototypes for a 3D printed chassis as well. After the Kickstarter Jaidyn plans to make the hardware design for PopPet’s basic chassis available to anyone for free. He’ll design add-ons such as phone holders, GoPro camera mounts, cup holders, alternative wheels and more face plates, which will be available on PopPet’s website for a small price (around $1-5). These pieces are not necessary to the core PopPet build, but add that extra level of customization. Acrylic prototypes are in the works that will potentially be cheaper and include even more customizable options for chassis design. If you don’t want to wait, or you just want to support this effort, you can back the project now on Kickstarter.